Now, think back to how I mentioned that the public’s interest tends to wane after news of an arrest, because nobody really cares that someone famous is on probation, or has to do community service. What’s missing in that observation? The notion that famous people hire high-end lawyers and then just “beat” the case. Especially with respect to things like DUI charges, a person can’t just “beat” the case because he or she had money. Sure, hiring a good DUI lawyer is a person’s best bet to get the best results, but no lawyer, no matter how skilled he or she may be, or what they charge, can change the facts; instead, he or she can only work with them. When is the last time you heard about someone famous getting arrested for a DUI and then getting the whole charge thrown out of court? The point I’m making here is that even amongst those who basically have no limit to what they can spend fighting a DUI charge, none, that I can ever recall hearing about, had their charges dismissed completely. You’d be hard-pressed to recall a single athlete or celebrity who’s made the news after being arrested for a DUI, only to later hear that he or she went to trial and won the case. Instead, the follow-up to these stories is always about getting probation and something like community service. Whatever else, these outcomes don’t occur because Mr. or Ms. Rich-and-Famous cheaped-out and hired the wrong lawyer. How, then, do we reconcile the notion that lawyers claim to get dismissals in the majority of their DUI cases with the reality that not even the rich and famous get out of them completely? In order to understand why the idea of getting most DUI charges “dismissed” is true, and that it’s also true that most OWI cases don’t just go away completely, you need to understand plea bargains. The majority of DUI cases are resolved through the negotiation and plea-bargaining process. In Michigan, for example, DUI is technically called OWI, which stands for Operating While Intoxicated. Almost every 1st offense DUI is written up as either OWI or OWI with a BAC of .17 or greater (High BAC). Most of those cases are solid, meaning there is no screw-up by the police that is so bad that it will cause the entire case to be thrown out of court. The DUI lawyers job, in the cases where the evidence is not going to be tossed out of court, is to find a way to convince the prosecutor to lower the charge, so that a person facing an OWI can get out of that, and plead to a lesser offense – usually what’s called “Impaired Driving,” (OWVI). In order for someone to take a plea deal to a lesser charge (and this holds true with any and every criminal charge, including a deal to drop a 1st degree murder charge to 2nd degree murder), the original charge has to be dismissed, and in exchange for the dismissal of that charge, the person accepts guilt for the lesser charge. Imagine you are an investor. You have $1000 to invest, so you put all of it into a fund on January 1. Within 2 months, the fund has grown to a value of $1200, so you’ve made $200, right? Assume that in the following 2 months, the fund loses $600 in value, so now it’s only worth $600. Now, you have lost $600 on it from the fund’s high point of $1200 and lost $400 of the initial $1000 you first put in. Thus, based on your original investment, you’ve lost $400. What if the following 2 months, the fund grows to a new value of $1500. You’ve made money again. Based on the amount with which you began, you’ve now profited by $500 overall, right? Assume though, that 2 Months later, the fund loses $300 and is back to being worth $1200 again. Thus, you are sitting on a profit of $200. Finally, in the last 4 months of the year, it gains another $300 and is worth $1500 again. Would it be fair, though, to say that you “made” $1400 from your original investment of $1000? In one sense, you did “make” $1400, but you also lost $900, meaning that your true profit was only $500. An honest broker, however, would say he or she earned $500 in a year on his or her client’s investment of $1000. When DUI lawyers say that they get most OWI charges “dismissed,” it’s not much different than our hypothetical investor claiming that he or she earned $1400 in 1 year on a $1000 investment. There’s a sort of technical truth to that, but when you look at the reality of the situation, he or she really only earned $500. Thus, anyone who gets the benefit of a plea bargain also gets the original charge made against him or her dismissed. 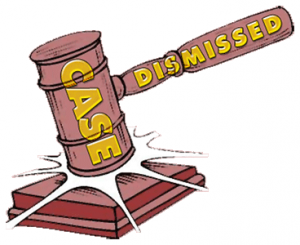 But that dismissal hardly ever means that everything – meaning the whole case – just goes away. This is important in terms of understanding how legal services are marketed. People are naturally drawn to what they want to hear, and the history of commerce shows that people can rather easily be persuaded to buy into what they want to hear, as well. When it comes to DUI charges, otherwise intelligent people seem to lose their common sense and hand over their money on the promise that some lawyer can get everything dismissed – the very lawyer that all the rich and famous people seemed to have missed, right? Too bad the rich and famous didn’t hop on the computer and find that lawyer. I have no grand takeaway here, other than repeating the age-old advice of “buyer beware.” If you need legal representation, be a smart consumer and learn to read between the lines. Look for real information as you read what lawyers put out. Perhaps more than anything, know that with everything, including lawyers, if it seems too good to be true, it probably is. If you’re facing a DUI in Wayne, Oakland or Macomb County and are looking for a lawyer, do your homework. Check around, then call around. All of my consultations are confidential, and done over the phone, right when you call. We are really friendly people who will be glad to answer your questions and explain things. You can reach us Monday through Friday, from 8:30 a.m. until 5:00 p.m., at 586-465-1980. We’re here to provide good, honest help.